When you think of EasyCast resin, you normally think of it as a casting resin. 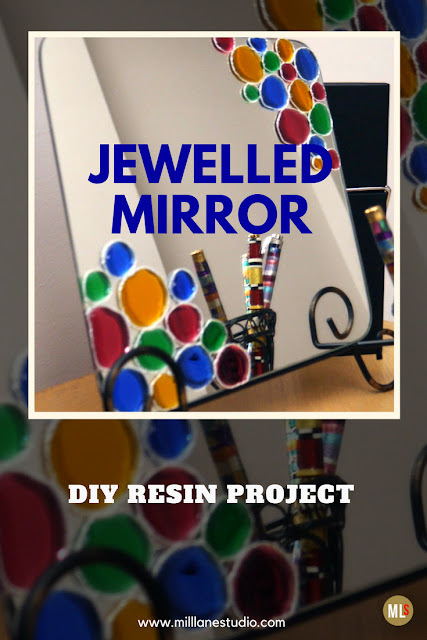 But in this jewelled mirror project, I'm going to show you how EasyCast can also be used as coating resin, making it a very versatile epoxy. The mirror will make the resin bubbles glow like jewels thanks to the reflective surface. 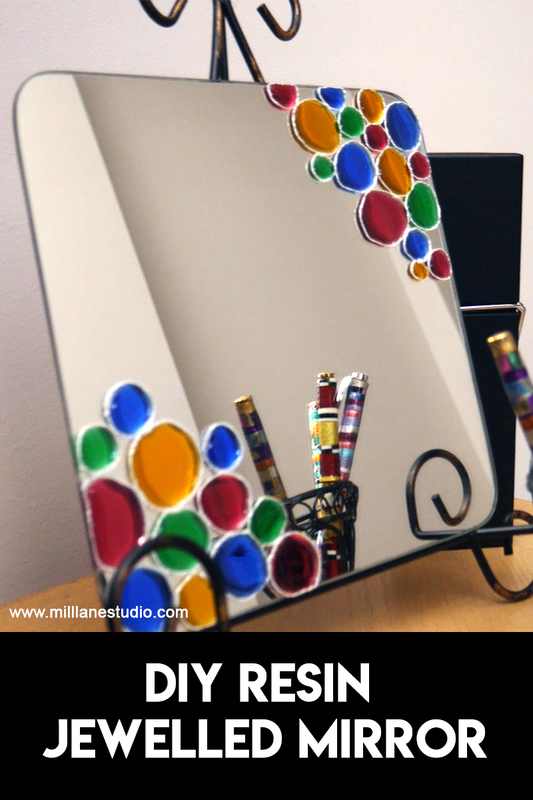 Draw a group of circles of varying sizes in the top corner of the mirror with the Gutta. 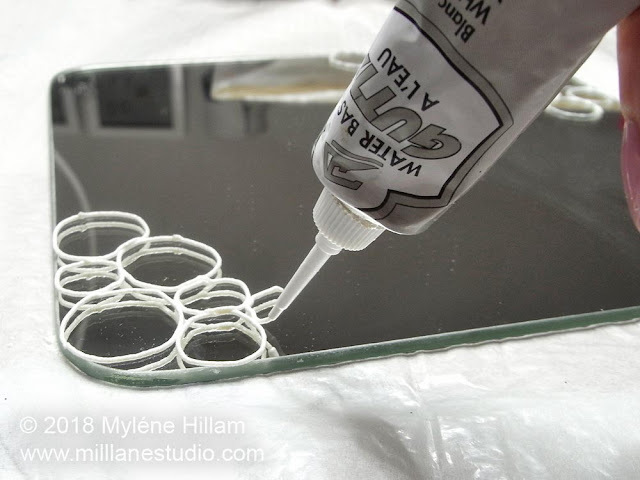 Make sure that each outline is perfectly closed and completely touching the mirror's surface all the way around so that the resin can't leak out. Repeat in the opposite corner. 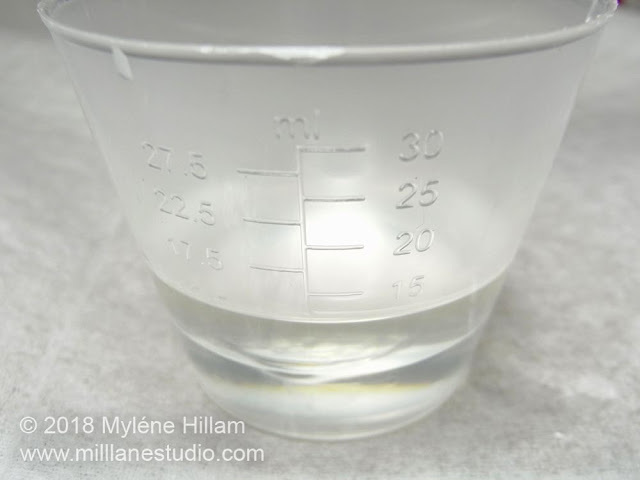 Leave the gutta to completely dry before continuing. 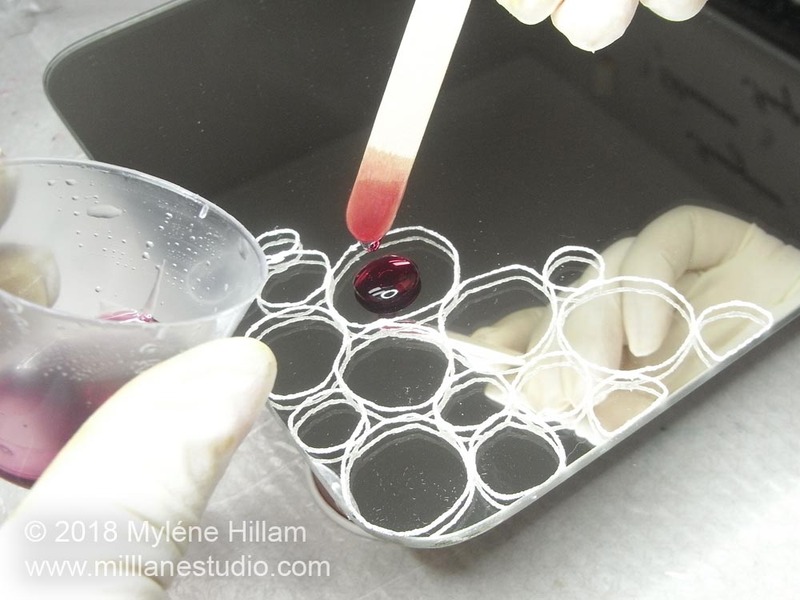 Once you start working with the resin, put on the gloves. Mix a small batch of EasyCast, following the instructions included in the resin kit carefully. 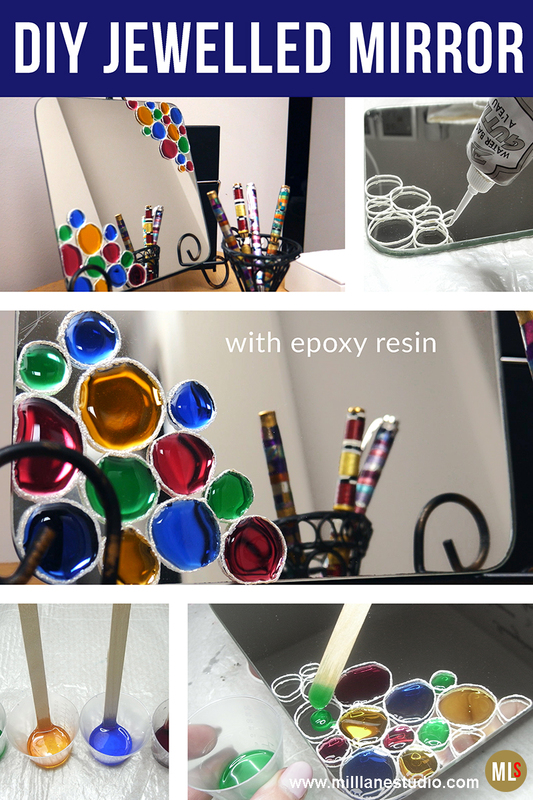 Divide the resin into four cups and colour each one a different colour with the transparent resin dyes. 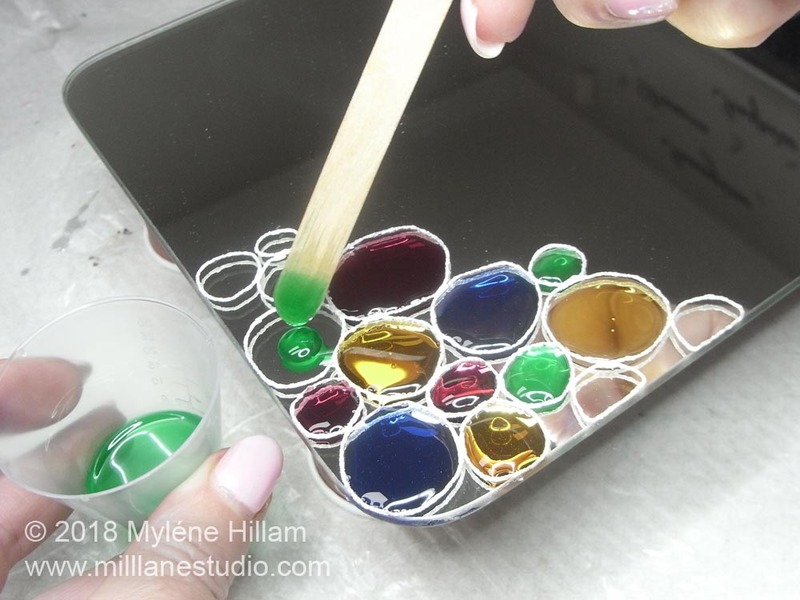 Carefully drip a different coloured resin into each circle. 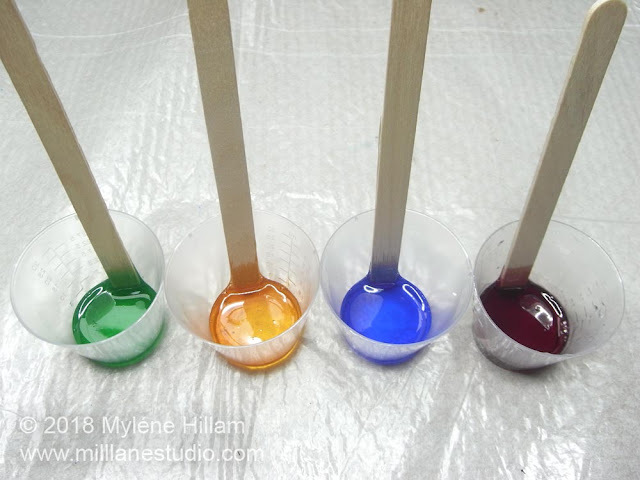 Try not to have two circles of the same colour next to each other. 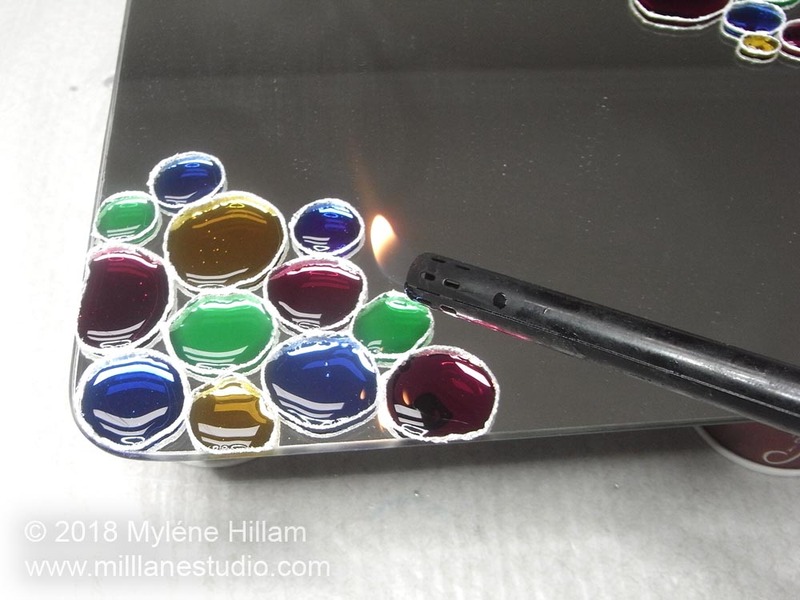 Once all the circles are filled, pass the flame briefly across the resin to pop any bubbles. Make sure you keep the flame moving at all times. 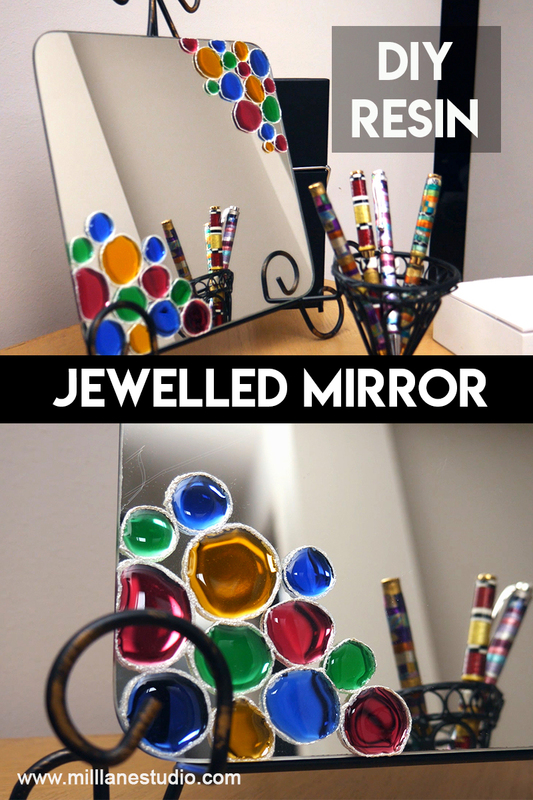 Leave the mirror to cure for 24 hours before moving it. 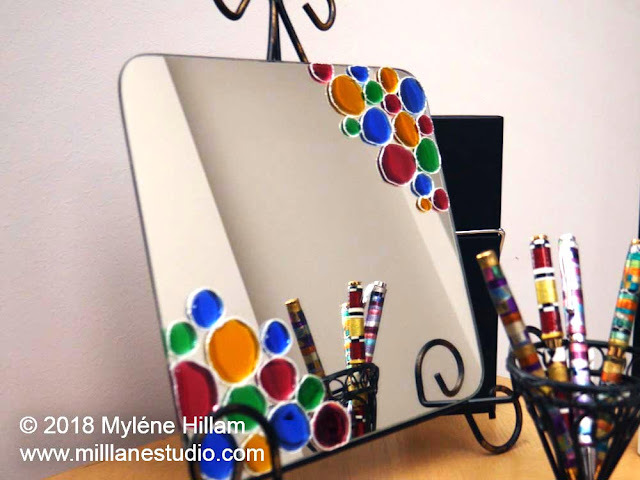 Then place it in a stand or attach to the wall and admire it.